Cue music, DJ Jazzy Jeff & The Fresh Prince…summer, summer, summertime. Queue up the summer playlist, dust off the barbie (barbie grill, not doll), and wash and wax your Vespa, because summer is here. And if you’re anything like me, then you probably couldn’t be more excited. This summer feels especially well deserved, at least on the West Coast, where in California it was a record-breaking precipitation year and record-breaking winter. Bring it on summer travel! This time of year is when you’re most likely to find me tossing my hiking boots, paddleboard, and hammock into my car and hitting the highways and biways of America. I have my parents to thank for this summer tradition, who for my “senior trip,” took me on a 6,000-mile road trip around America (yes, seriously). What I discovered then, and continue to discover now, are the many unusual, eclectic, and extraordinary places you’ll find off the beaten path. Some of which, you can even spend the night in. 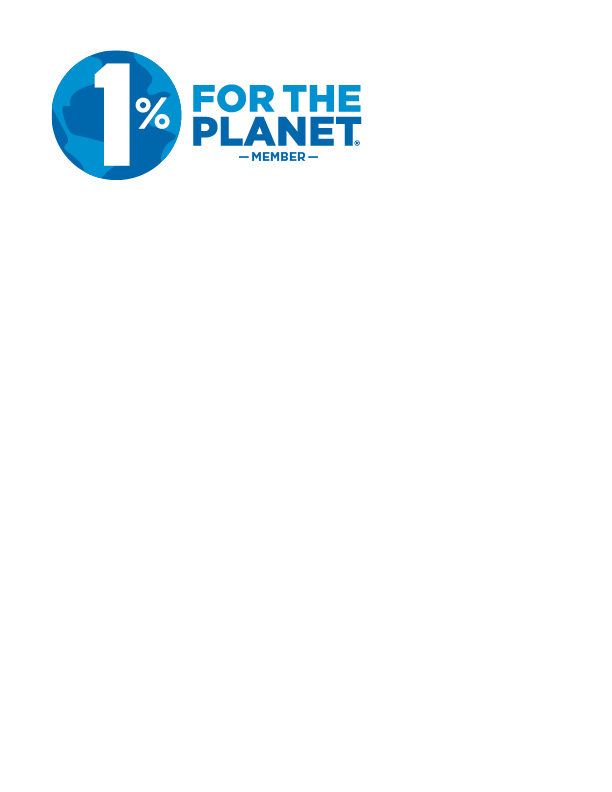 Furthermore, the advent of services like HomeAway, the world's leading online vacation rental marketplace (with more than 2 million unique places to stay), now let you stay in such places more than ever. 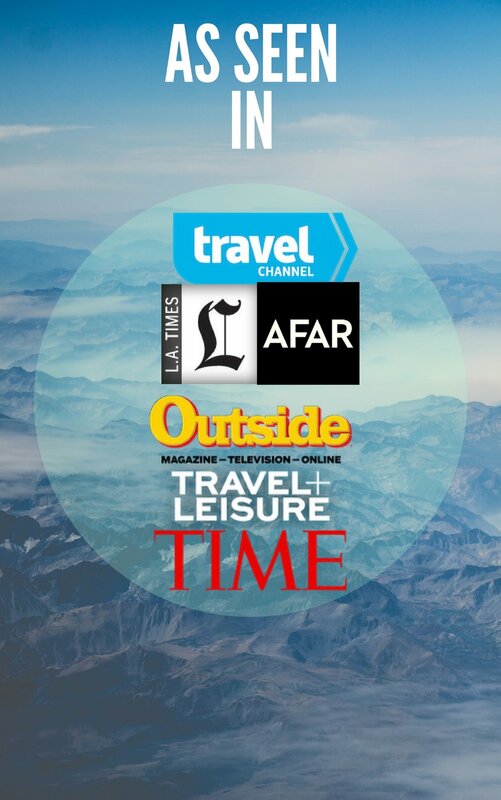 But while I recently wrote a series of profiles on HomeAway (who I am an ambassador for) featuring a few such places, today I’m rounding some of those up as we head into the summer travel season. Below, find a few of the most unique summer vacation rentals in America that you can actually stay in. The Shire of Montana. Yes, the Shire, complete with an Elven village mural, makeshift Bilbo Baggins home, wood-burning stove, and other hobbit lore filling the property and home. The hobbit home is even built into the ground like the hobbit homes you've no doubt seen in the Lord of the Rings movies. The Shire is located in one of my favorite corners of America, Northwest Montana, in Trout Creek, and surrounded by national forest, overlooking an alpaca ranch (yes, an alpaca ranch). 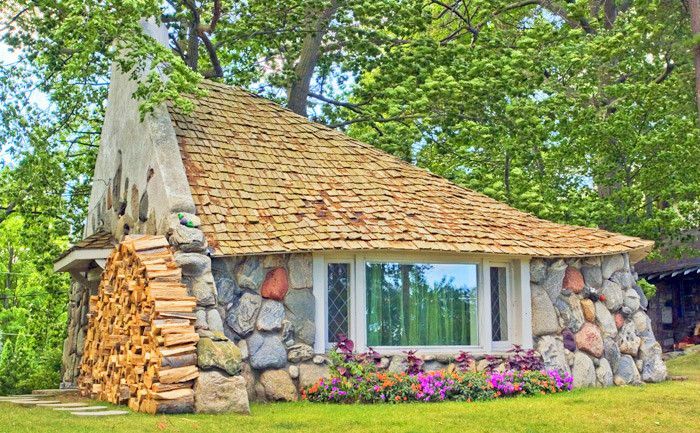 Originally intended to be a log home, and then a dome home, the house took its current form after the owner’s son remarked during construction that it resembled a hobbit home. The rest is history. Mushroom Houses of Charlevoix. Similarly, in Charlevoix, Michigan, situated on Lake Michigan, are a series of “mushroom homes,” which look straight out of Super Mario Bros. Architect Earl Young built the homes, numbering more than a dozen, in the early to mid-nineties. 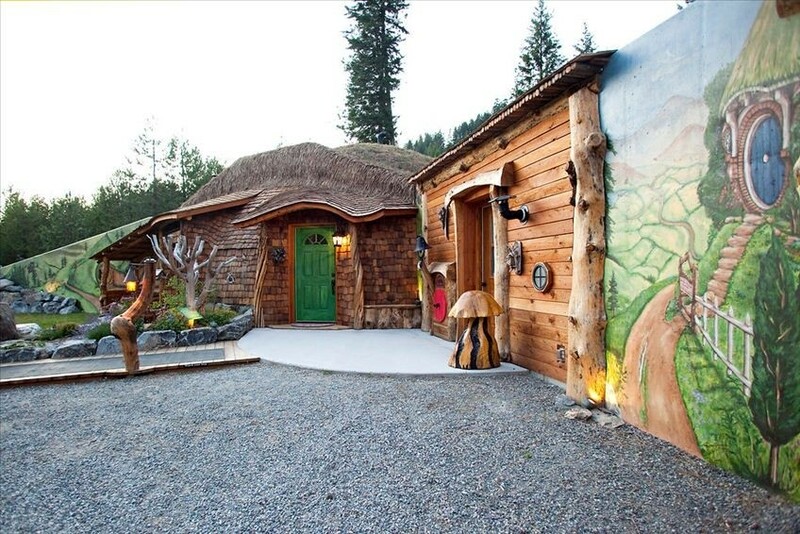 Gnome homes, troll houses, mushroom houses, and hobbit homes have been a few of the names attributed to them. As Young put it, he’d often build the roof first, and then shove everything else beneath it. Among them is Young’s “Half House,” built in 1947, and now a vacation rental you can book on HomeAway. McCormick Onion House. That’s McCormick as in the McCormick brand of spices you see donning the spice aisle of your grocery store. Fittingly, the house does actually look like an onion. Of all the homes here, this is my favorite story. Situated hillside on Hawaii, the Big Island, and overlooking Kailua Bay, the Onion House's story begins decades ago with Auntie Dofeen, the niece of McCormick’s founder, Willoughby. Upon first seeing the coastline in this region, she exclaimed, “I belong here,” and started making plans for a Hawaii Island vacation home. The onion house blueprint and construction, however, is credited to Kendrick Bangs Kellogg, a mid-1900s American architect known for a variety of unusual homes. 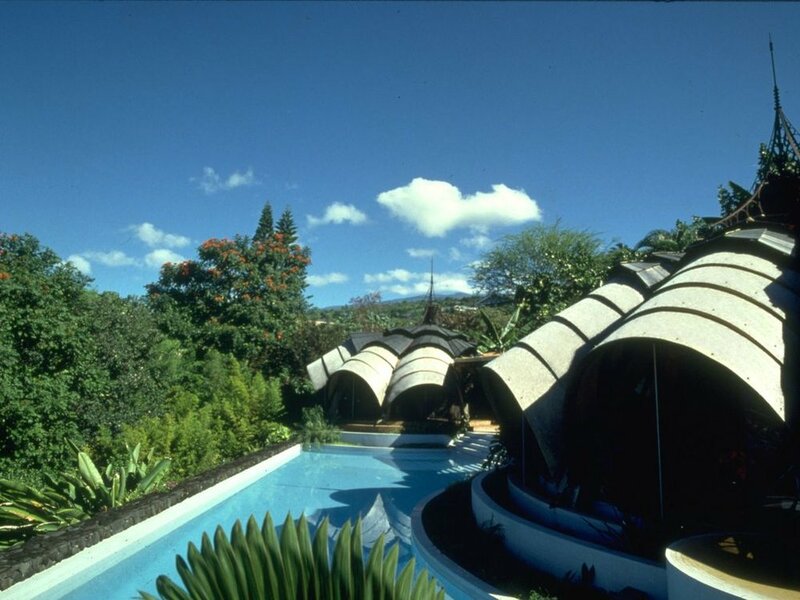 Now decades later, it’s been a longstanding Hawaii vacation rental on HomeAway, featuring gardens, a lily pond, and 70-foot pool overlooking the ocean. Sweet Escape Theme Park. Why go to a Florida theme park when a Florida theme park can come to you? 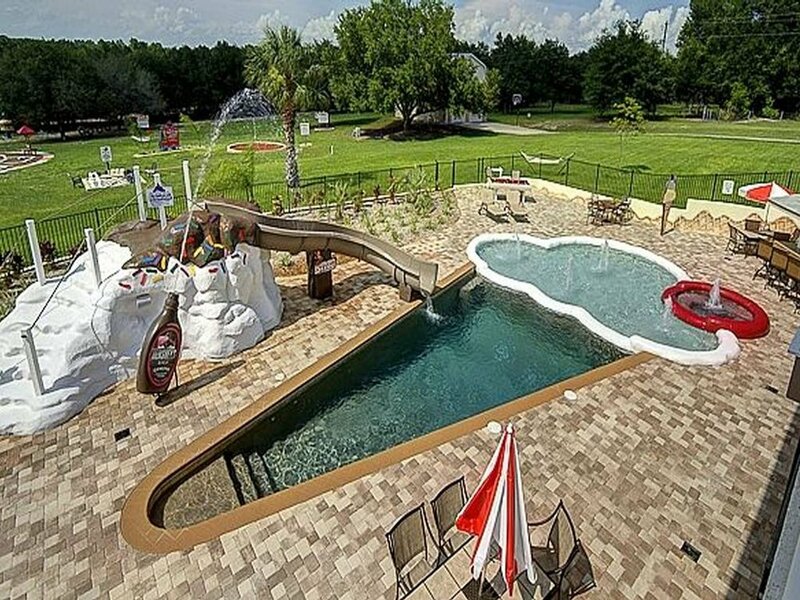 Welcome to the Sweet Escape, an 8,000-square-foot, 5-acre, 10-bedroom vacation rental estate, which doubles as an amusement park. Among the bells and whistles: A 30,000-gallon pool in the shape of an ice cream cone, hot tub, splash park, arcade, miniature golf, laser tag, carnival games, 1,400-square-foot karaoke club, and life-sized board games. Bonus points that there are no crowds and no lines. The vacation rental home itself has 10 themed, large bedrooms, an outdoor BBQ and entertainment area, and several bathrooms. All told the home can accommodate more than 50 people. Best pool party ever? Llano River Compound. Of all the unique summer vacation rentals here, I find myself gravitating to the Llano River Compound more than any of the others (yes, even more than the Shire). What’s missing in grandeur, is made up in simplicity, charm, and zen, located just west of one of my favorite cities, Austin, Texas, on the Llano River. As the name presumes, it’s not simply one home, but rather a series of tiny cabins, inspired by the tiny house movement, and created by several best friends in Austin. As I like to put it, it's a modern-day little house(s) on the prairie. Each 350-square-foot tiny cabin comes with a queen bed, mini kitchen, and private bathroom (and with a sofa that folds out into a double bed in 3 units), while a 1,500-square-foot commons unit has a fully-equipped gourmet kitchen, dishwasher, bunkroom (that sleeps up to 6), 60-inch TV, iPod dock, and Wi-Fi. I am an ambassador for HomeAway but all thoughts and opinions are my own. All images are from HomeAway.